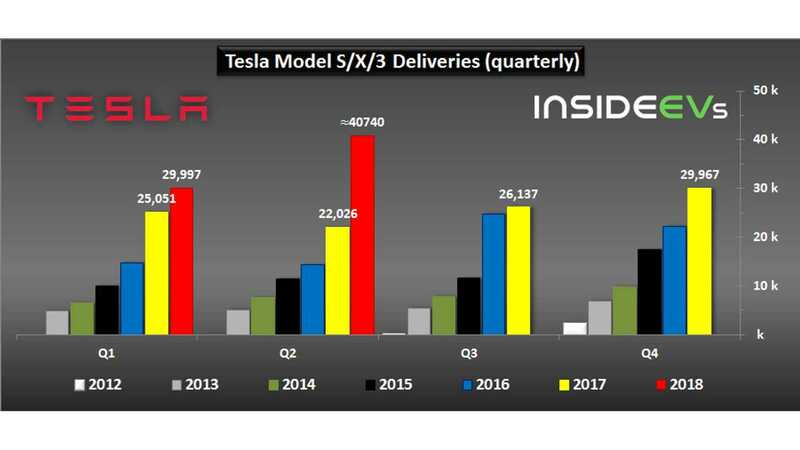 Tesla just released its production can sales numbers for the second quarter of this year and the numbers show tremendous progress. Even more so when laid out in graph form. 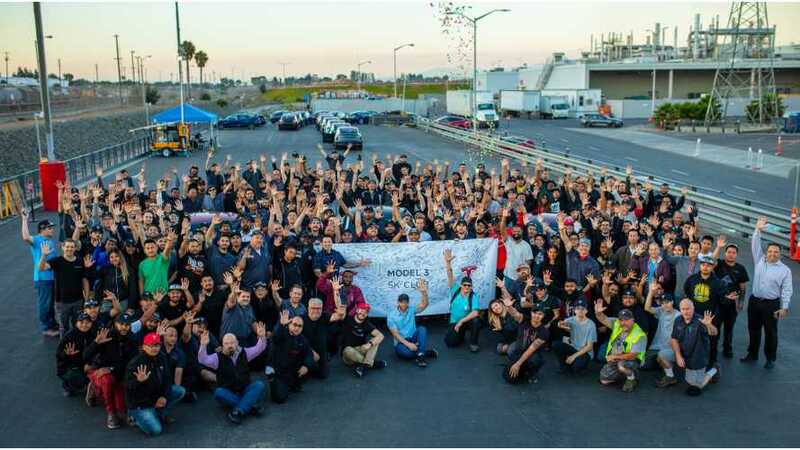 As we know, the production target of 5,000 Tesla Model 3 a week was achieved and it's now time for a short celebration before all hands will go on-board again to further improve output. 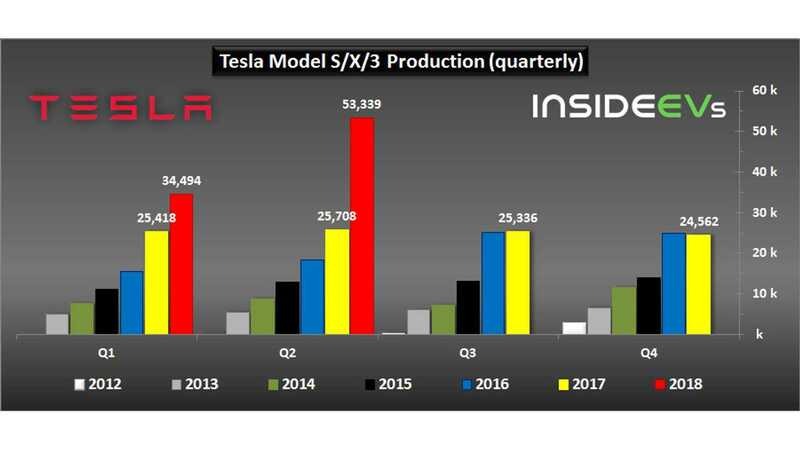 Production increased quicker than sales, which of course means that the next quarter will likely be even stronger. 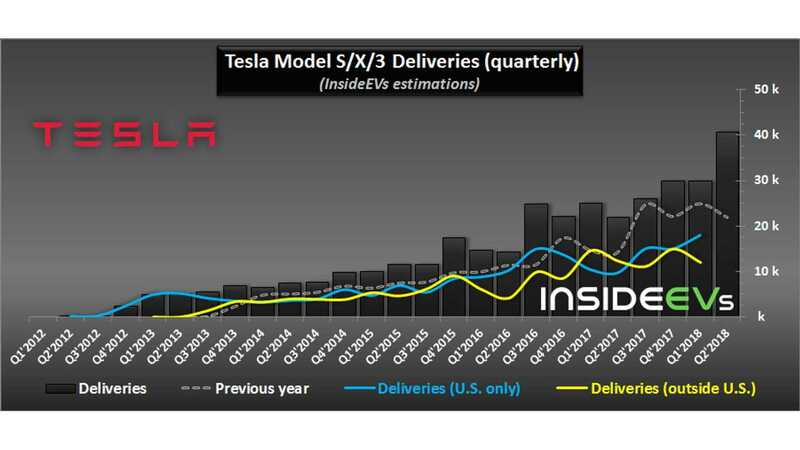 Because there was 11,166 Model 3 in transit to customers at the end of Q2, the Model 3 could become the #1 best-selling electric car in the world as early as July of this year. If not in July, then August seems a safe bet. In just a few short hours, we'll report on U.S. sales for the month of June. It's a hot one and we're not referring to the temps. Stick with us throughout the day today and into tomorrow as the scorching numbers begin to pile in.